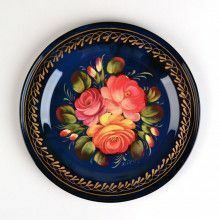 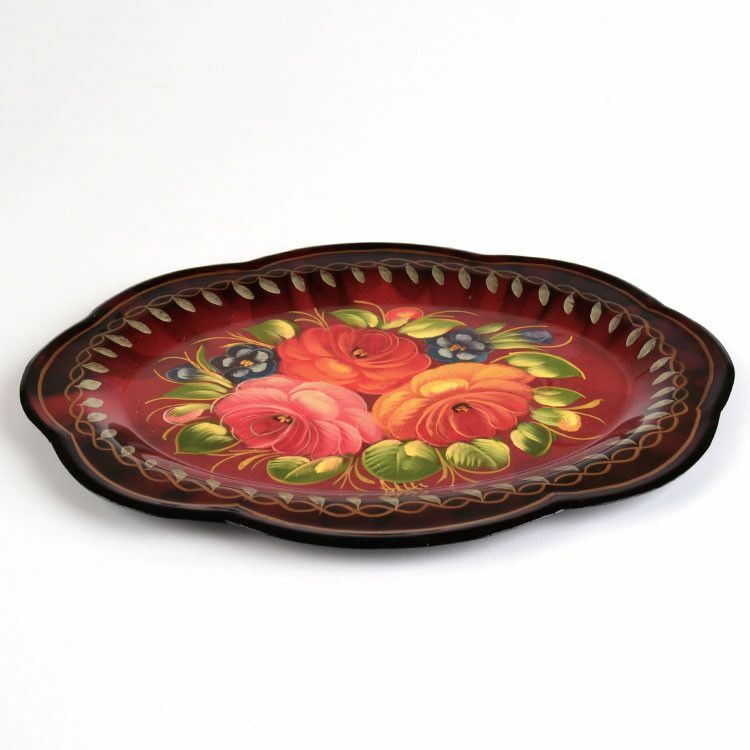 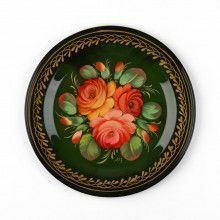 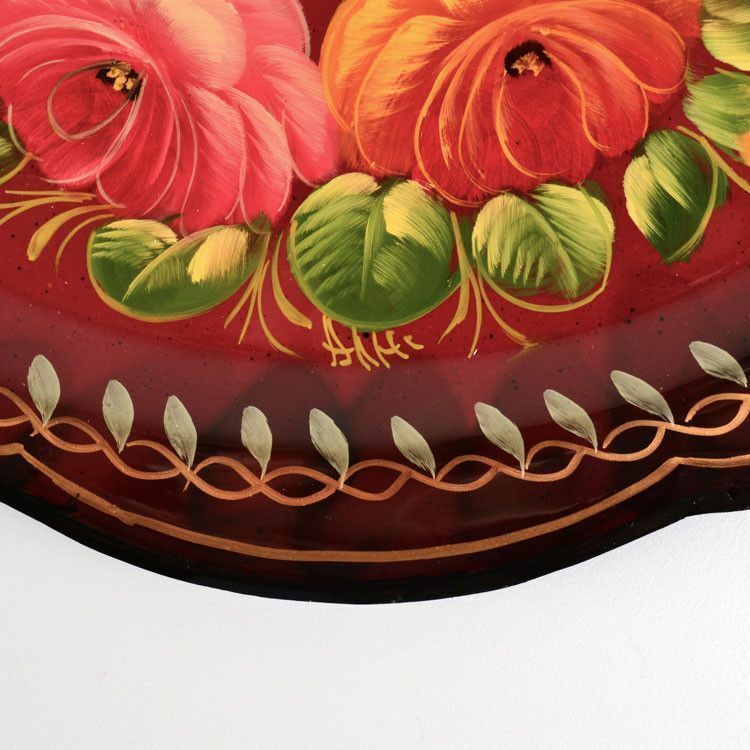 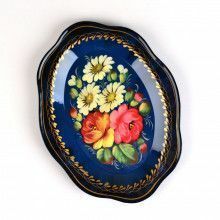 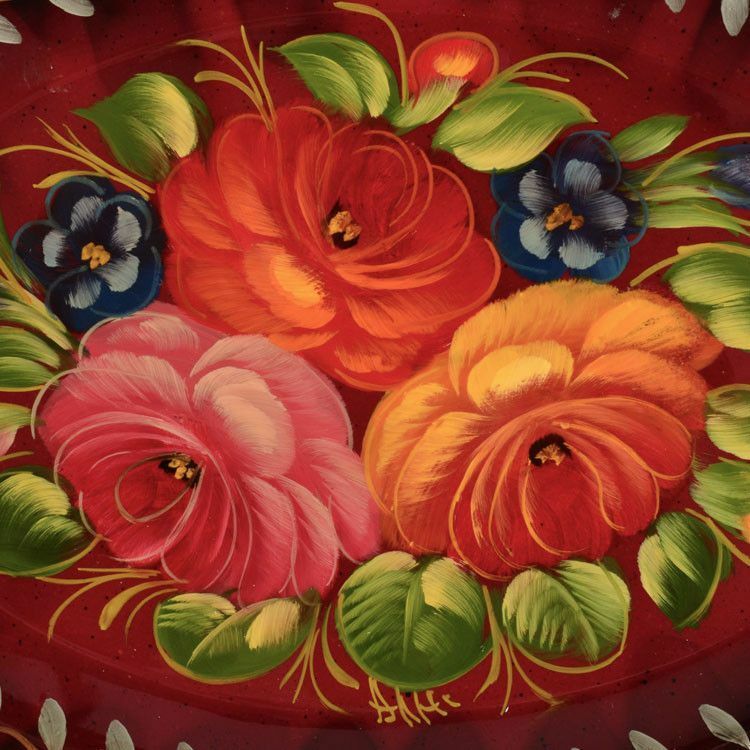 This small Zhostovo tray features brightly colored, hand painted flowers with green leaves against a rich burgundy background. 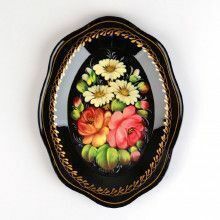 It also has a lovely gold and silver border around a scalloped edge. 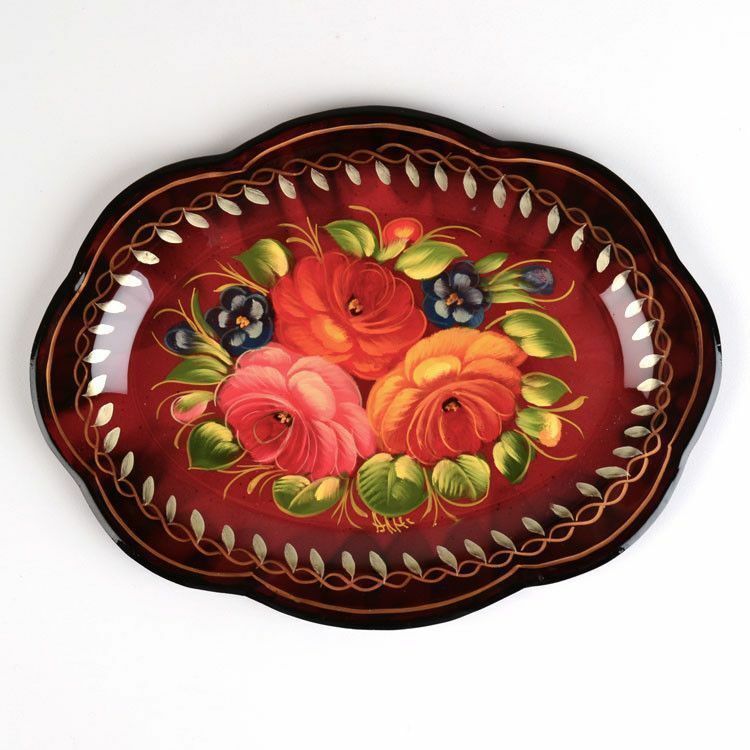 It is Approximately 7 3/4" x 5 3/4" and makes the perfect plate for a small snack. 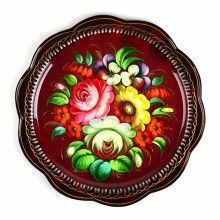 A signature by the artist on the front and a lacquer finish completes this fabulous metal mini tray.